Other Products by Amazonia. Search other Spirulina, Greens & Reds products. 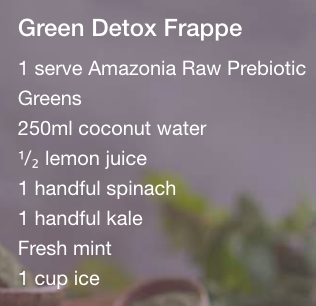 Amazonia Raw Prebiotic Greens is a Certified Organic formula containing alkalising chlorophyll derived from different source, which assists with the detoxification process and supports energy production. This formula is designed for optimal absorption and ultimately nutrient delivery to the various tissues of your body. 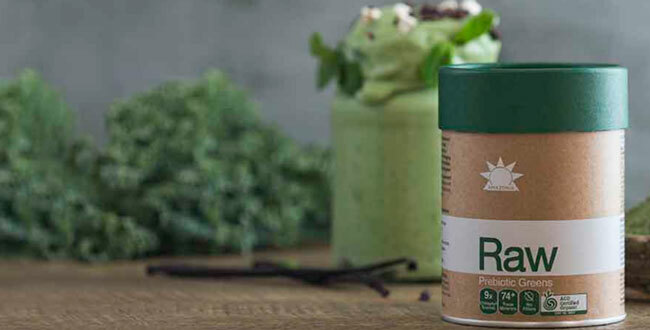 This delicious blend combines nutrient-dense sprouts, leaves, juices, grasses, algae, herbs, and over 74 trace minerals and prebiotics to support vitality. Shine Brighter! This product is great for anyone who finds that they aren't quite the getting the amount of fruits and vegetables that they need in their diet. Let's face it, we don't always have time to create ideal perfectly nutritionally-balanced meals. Amazonia RAW Prebiotc Greens helps to make up the difference in quality nutrition. 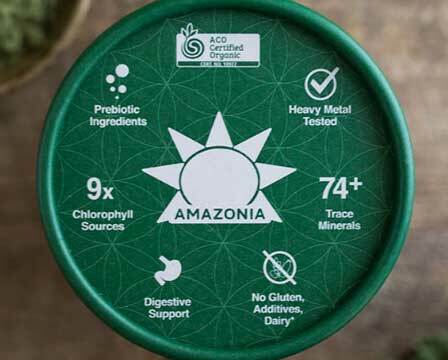 What is Amazonia RAW Prebiotic Greens? Mix 5g (1 heaped teaspoon), of Prebiotic Greens or higher dose as required, into 250ml of water or non-dairy milk. For children (12-17), take half the adult serve. Also delicious combined with your favorite smoothies and breakfast bowls.